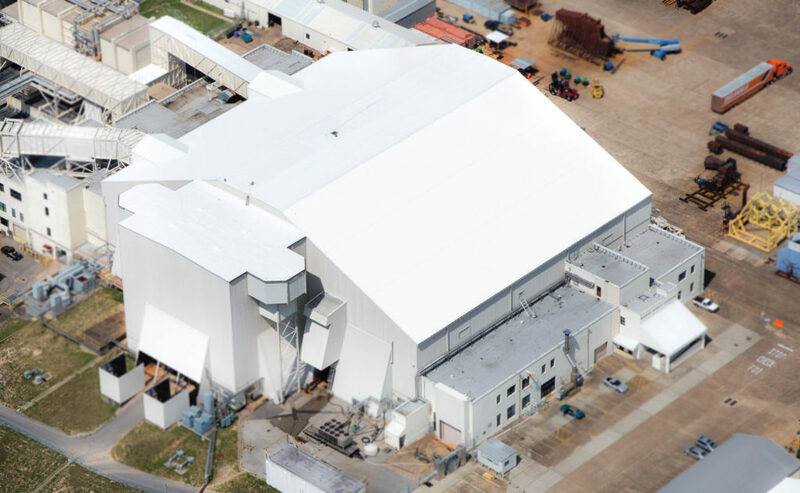 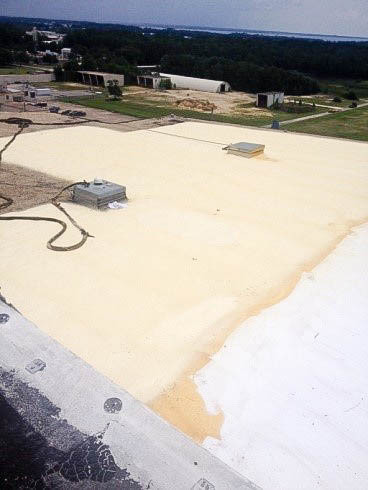 Energy Conservation EGLIN AFB Cool Roof Upgrades | CYE Enterprises, Inc.
CYE was awarded the project to install energy conservation roofing systems on four buildings at Eglin Air Force Base. 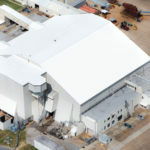 The McKinley Climatic Laboratory Testing Facility included in this contract is a historic structure and required special treatment. 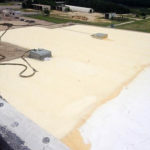 CYE worked alongside the base and the State of Florida’s Historic Resources Department in picking a material that was appropriate for the structure. 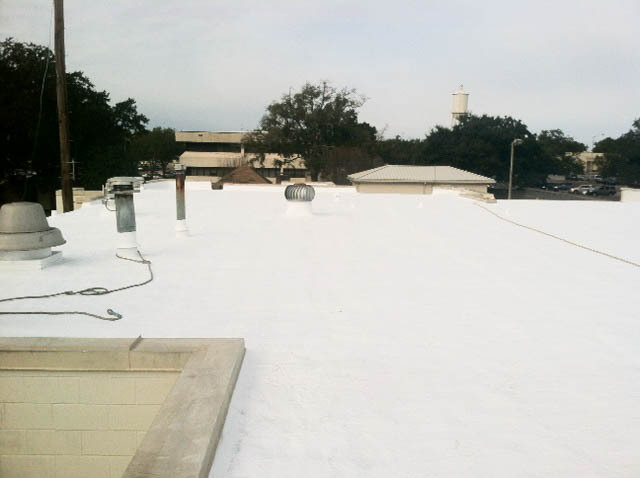 All of the roofs were treated with a sprayed polyurethane foam roofing system. 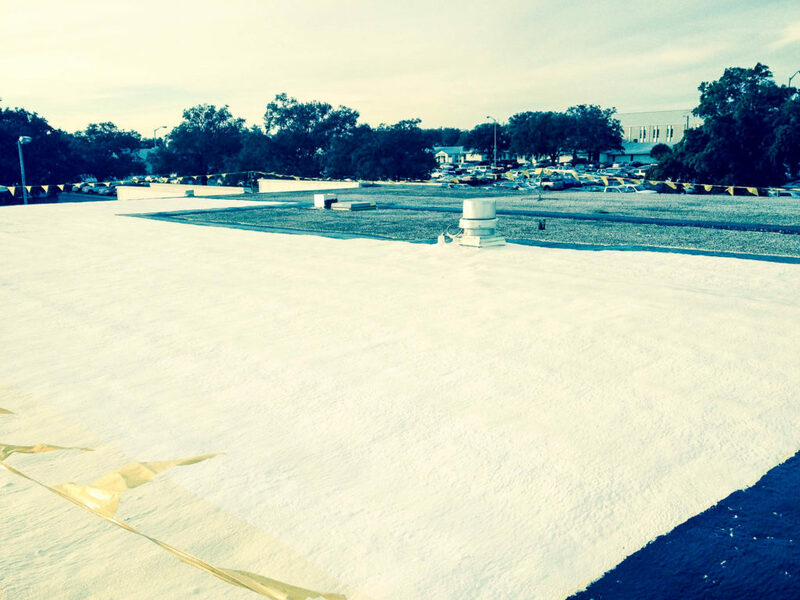 This system provides a monolithic waterproofing and insulating barrier. 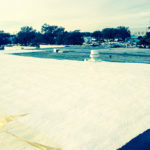 The roofs were then applied a sun reflective coating. 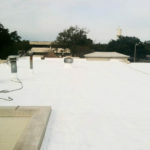 Both applications work together to maintain a lower roof temperature that dramatically reduces the heat transfer into the structure.